Like a good party punch, the Phoenix restaurant scene is a mix of a little bit of everything -- or in this case, a little bit of everywhere. Cuisines from around the country, and across the world, can all be found right here. Hungry for Korean fried chicken? Go to Mesa. Craving soul food? Scottsdale is the spot. Mexican? Head to 16th Street or Downtown Phoenix. This year we saw collaborations between established restaurateurs and budding chefs. 2018 gave us a restaurant that puts Arizona ingredients at the center of the plate. 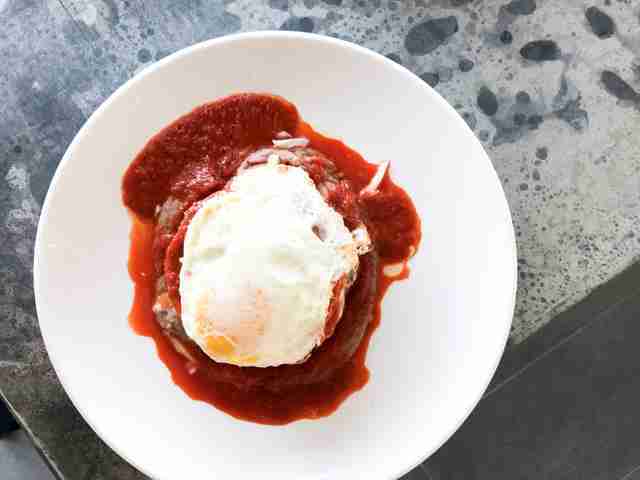 And in a city where the dining culture is hastily overlooked and often compared to the bland facade of a stucco strip mall color scheme we’ve witnessed a rainbow of eclectic cuisines emerge boldly on the restaurant scene. It’s an exciting time to eat in Metro Phoenix. Taco Chelo fits right into its digs in the epicenter of Downtown Phoenix’s Roosevelt neighborhood -- a thriving community where art is everywhere; it's a collaboration between artist Gennaro Garcia, Chef Suny Santana, and restaurateur Aaron Chamberlin. 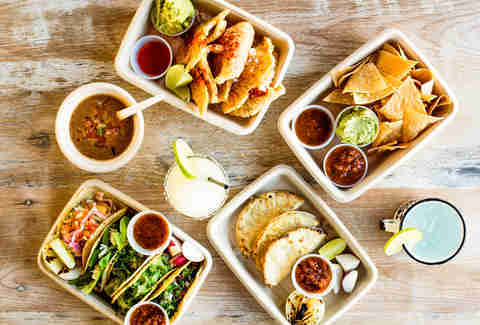 Chamberlin, who must have felt remarkably ambitious this year, opening up three new restaurants in 2018, has tasked Santana with the mission of overseeing the taqueria’s menu which currently features five tacos, salads, and botanas -- or snacks. Santana learned early on the importance of using simple cooking techniques and quality ingredients and has worked with Chamberlin since 2011. And we hope, will continue to do just that. 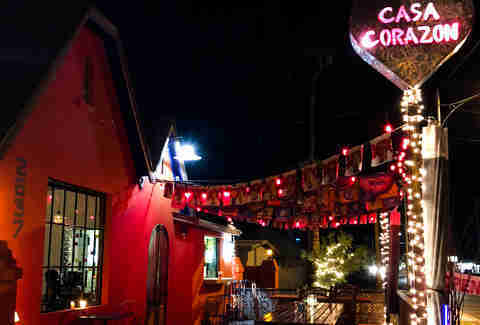 Casa Corazon emerged on the scene earlier this year. It’s hard to miss, too. Taking up residence inside of a historic home decorated with art on the inside and painted bright orange on the outside, this eatery complements the existing array of Mexican restaurants that line 16th Street. The menu features a bouquet of quintessential Mexican dishes including Cochinita Pibil, Chiles en Nogada, and an offering of unique flans as well as a various agua frescas -- available with or without booze -- and even a dessert taco filled with hazelnut chocolate mousse that is drizzled generously with a raspberry sauce and is finished with a papaya kiwi salsa. Obviously worth saving room for. 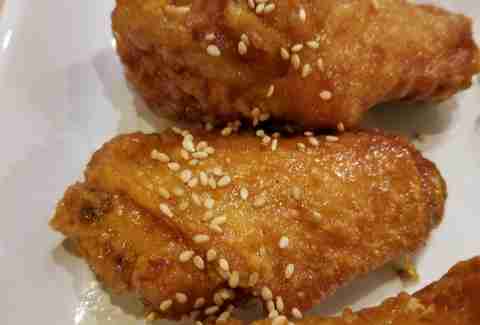 In South Korea fried chicken is commonly consumed as an appetizer, meal, anju, or just a post-meal snack. And at Mesa’s Po Chicken, you can go-in on KFC -- Korean Fried Chicken -- in whatever manner your heart, and your appetite, desires. Begin your journey with an order of ganjang. This signature dish delivers a crispy, flavorfully sweet, and garlicky kick in the tastebuds. The KFC is certainly the star of the show at this new Mesa restaurant, but Po’s collection of hearty Korean-style pooridges are a must-try. It will undoubtedly take more than a single visit to Po Chicken to get acquainted with their scopic menu -- start planning your next visit right away. Roland’s has found its home inside of a century-old building. Actually, its name is a nod to the original Roland’s, a historic market founded by Chinese immigrants Jean and Roland Ong sometime in the 1940s. The notorious pizzaiolo Chris Bianco is behind this new spot. But his role here is more behind-the-scenes than usual. Instead, Bianco tapped Armando Hernandez and Nadia Holguin, the duo from Taco Chiwas, to add their own spin. Let your own impressions from Roland’s derive from a plate of enchiladas overlaid with salsa roja or a tayluda sprinkled with local chorizo. 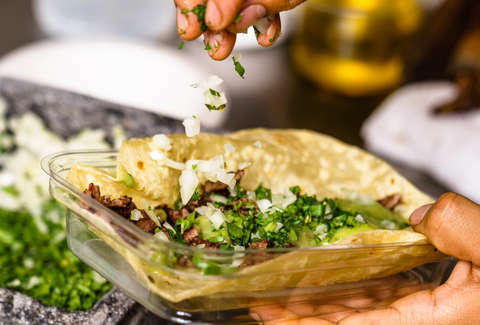 Nearly all of the dishes on the menu are kissed with flavors from south of the border -- flavors that both Holguin and Hernandez are no stranger to. A certain degree of care and creativity go into every detail when opening a restaurant. When it comes to Chef Tamara Stanger, it’s only amplified. Stanger has curated a tight network of farmers and foragers that she relies on for ingredients grown right here in Arizona. She’s even known to forage for unique ingredients herself. Local and foraged vegetables find their place in shareable dishes like the O’odham Tepary Bean Spread and Farmstead Salad. Cotton & Copper also has an impressive cocktail program hearled by Sean Traynor. Imbibers can find handcrafted house cocktails mixed with spirits produced in Arizona and a compact selection of craft beers from around the region. More than enough reason to raise a glass. Here's a new sushi and cocktail joint brought forth from the team behind Clever Koi. 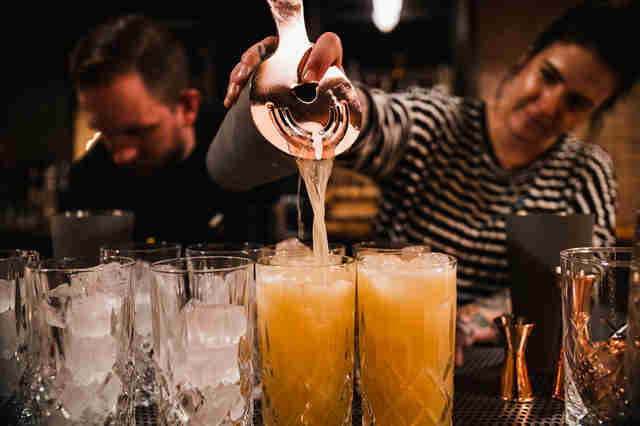 Across the Pond, which is situated conveniently within the same block (next door, really) of Central Avenue as its sister restaurant, puts cocktails first, with a heavy emphasis on Japanese whiskey. 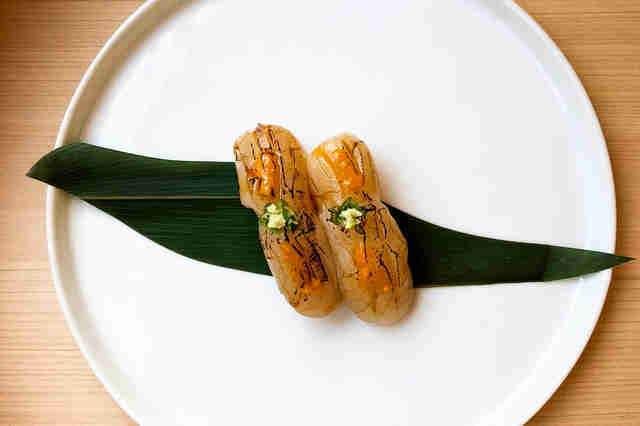 But their selection of omakase-style sushi is extra special. It's all sourced from local fishmongers Chula Seafood and prepared by sushi Chef Alvaro Salinas, and options include traditional sashimi, maki, and nigiri. Like Clever Koi, this new concept also has steamed buns and dumplings on the menu -- a win-win for every palate. Few of us saw the abrupt closure of DeSoto Central Market coming, but its absence left many looking for a new space to do business. Christian Buze of The Root and Soul -- which took up residence in the food hall earlier this year -- was one of them. Valley soul food fans can now savor Buze’s catfish, southern fried chicken, and Po’Boys once again in a new locale, located at the intersection of Thunderbird Road and Frank Lloyd Wright Boulevard. Buze is no stranger to restaurants. 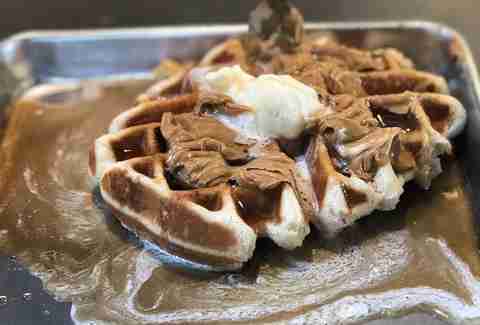 His grandmother, the proprietor of Mrs. White’s Golden Rule Cafe, is credited for encouraging his talent and teaching both Buze and his cousin, Larry White of Lo-Lo’s Chicken and Waffles, the value of hard work. Mrs. White’s Golden Rule Cafe has been in business since 1964. Crossing our fingers this new joint will enjoy a similar tenure. Lauren Reichert is a Phoenix-based multimedia storyteller and content creator. Her work has been featured in local travel guides and national publications. Follow her quest for the best tacos on Instagram @hungryinphoenix.